Living in a small home, it’s easy to cross the line from cosy to claustrophobic. Creating a sense of space is all in the layout, the light and learning that sometimes less is more. Small spaces require small furniture, right? Wrong. Although it might seem like the obvious thing to do, decorating with smaller pieces of furniture will make a room look more cluttered and poky than a few large statement pieces that fill the room nicely. Don’t immediately push the furniture right up against the wall either, having breathing room around your big pieces creates the illusion of space- why not try placing your sofa in the middle of the room? Leaving clothes, dishes, towels or toys strewn around a small place won’t help your quest to make it look and feel bigger. Keep your dishes clean and packed away, your clothing in the cupboard or laundry basket and have set spaces to keep things like phones, sunglasses and stationery so they don’t end up taking over every bare surface. 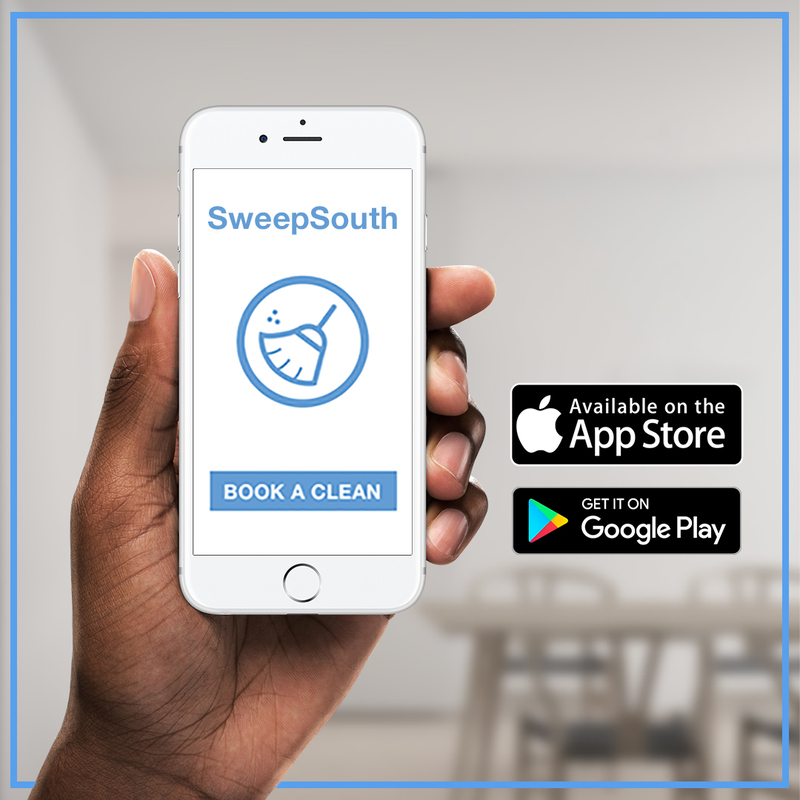 Just one visit from SweepSouth can help restore order and turn a chaotic flat into a peaceful escape. Dark colours can make a room feel smaller and stifling, whereas light colours give the impression of space and airiness. Go monochrome, using different shades of the same colour such as off-white or beige to expand your room. Skip the curtains where possible and let the light pour in, or opt for sheer white curtains or light blinds. Transparent furniture is a great and stylish way to add a coffee table or chair into a limited space without making it look or feel more cluttered. Instead, clear furniture looks fresh and funky without being imposing, plus the generally simple design lend a clean quality to the room. As any interior designer will tell you, small ornaments and furnishings will only make a place appear cluttered and a little disorderly, and the more you have, the more chaotic your place will start to seem. Instead, furnish your place with a few select pieces of décor that are approximately the size of a melon or larger – think of vases, picture frames, and mirrors. Don’t feel like you need to fill every inch of available shelf space either, leaving some tables and countertops clear looks neat and gives the impression of more space than a busy bookshelf would. The more stuff you have lying about, the more encumbered your place will appear, so multipurpose pieces are like gold to the small-space dweller. Ottomans and chests are perfect examples- not only can items be placed on top of them, but you can store stuff inside too, which helps with de-cluttering and the issue of limited cupboard space. Visit SweepSouth for trusted and reliable home cleaning, whenever and wherever you may need it. Next Post Set Your Sights on Summer with SweepSouth – 50% Off Eyewear is Yours!